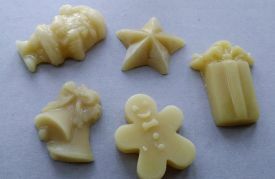 Bohin needles are exceptional polish for smooth glide through fabric. Fine point to minimize holes. Eye polished with a unique process to minimize breaking thread. Maximum strength, minimum bending. 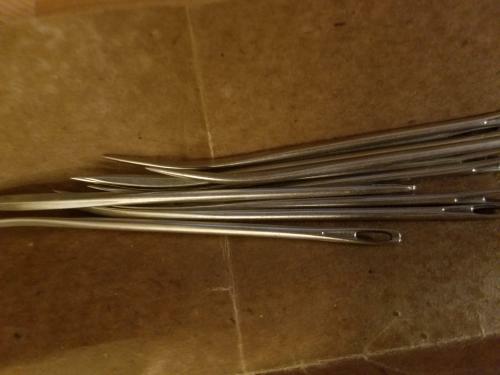 The picture on the bulk needles, some are just "generic" pictures and they are not the actual size of the needles, if you have any question, please email me first before ordering. 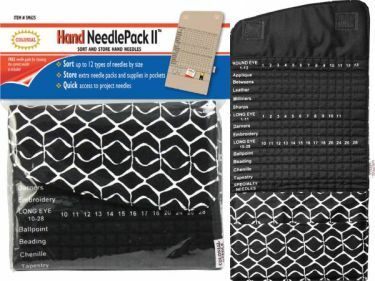 NeedlePack is a compact fabric caddy to sort and store up to 117 used needles. Soft and well made bag. 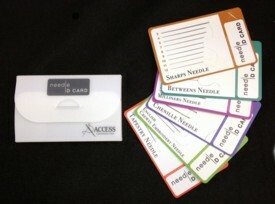 6 sturdy plastic cards covered the following needles. There are six cards in the set, covering chenille, betweens, sharps, milliner, tapestry, and English crewel and French crewel embroidery needle. A very handy tool and a must have for all stitchers. 35gram emery sand kit packaged in a very nice container.Insert the needles into the emery sand to polish and sharpen the needles. 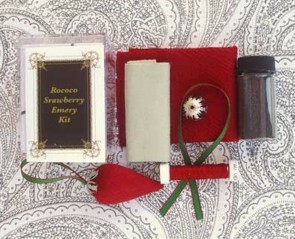 You have to assembly the kit, this is not a finished product.The kit contains all the elements, including the directions, silk thread, liner, needle, sumptuous red cover fabric, metal strawberry cap and Turkish Emery to complete the project. Insert the needles into the emery sand to polish and sharpen the needles.It comes in a very nice container. A perfect way to store your needles. sharp point, same length as Tapestry size 28 but stronger. A lot of stitchers love this size needle. sharp point, same length as Tapestry 28 but stronger. A lot of stitchers love this size needle. 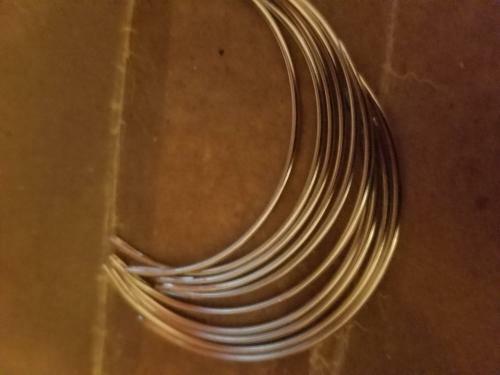 Size 12 beading bulk needles 1 7/8”x 0.51 mm. 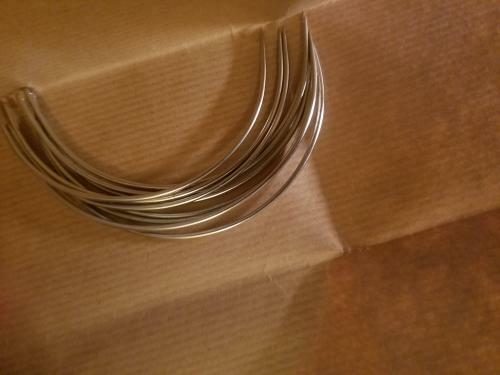 Size 13 beading bulk needles 1 7/8" x 0.49mm. Premium gold eye Milliner needles extra smooth. Made in Japan. Premium gold eye needles,extra smooth. 5 needles per sizes.Made in Japan. Use for loosely woven or bulky fabrics and deep piles. 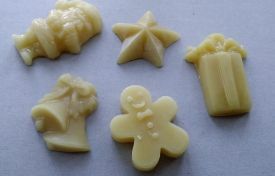 Ideal for upholstery, slipcovers and crafts. Nickel-Plated Steel.